The new 2011 Porsche 911 (991 model code) will be a ground-up transformation over the existing 997 model. It will be up to 50kg lighter, feature all-new suspension geometry and the rear axle will be pushed back by around 75mm. This will offer more interior space, but will also afford a more optimum mounting position for the engine. Better handling and increased overall stability the result. Improved aerodynamics, stop-start technology and a brake regeneration system will help improve efficiency by around 10%, despite the inevitable (albeit modest) power gains. 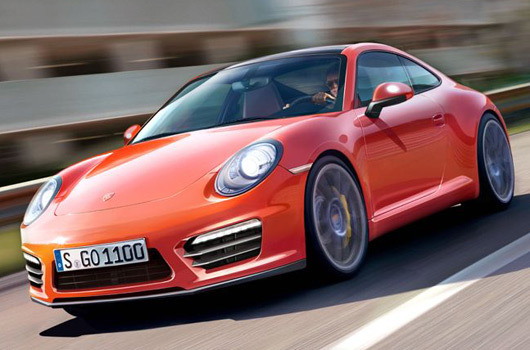 It has been reported the 991 911 will feature a 7-speed manual transmission, which has been derived from the PDK unit. Inside, the 991 will draw its look from the Panamera, including easier to read dials and a wider centre console. Overall, the new 911 will be a more comfortable place to be. cool, it’s always fun seeing a new 911 develop, can’t wait to hear more. Cat, 997 is too large? Huh? Yes, the 997 is WAY too large haha. Seriously why increase the size? 993 was the perfect 911 size. Cat, it’s barely longer than your cayman and about the same width. I had one for awhile and size certainly was never an issue. 993 size? Well the hunt for high speed stability plus safety standards means you will never see a 911 that small again. But maybe the new 356 is what you need.